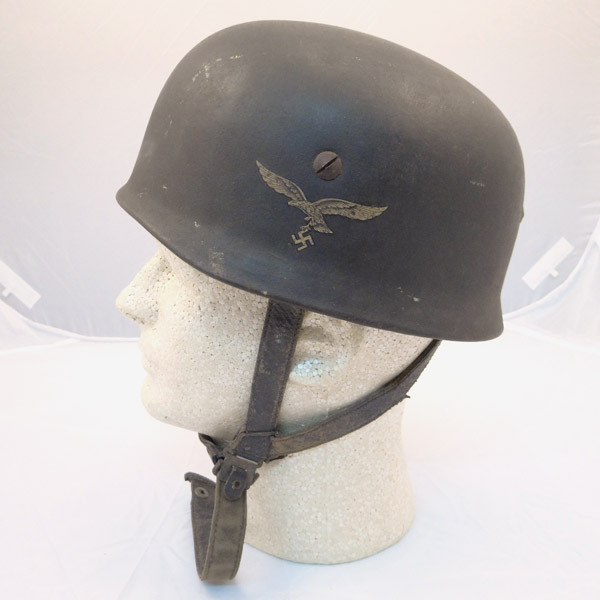 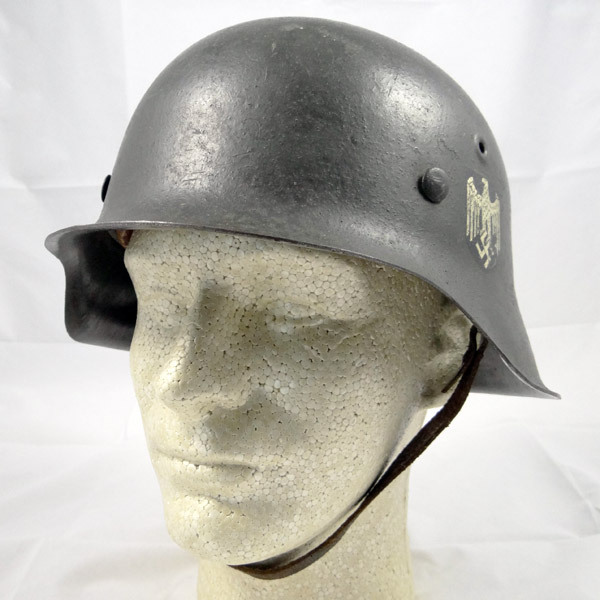 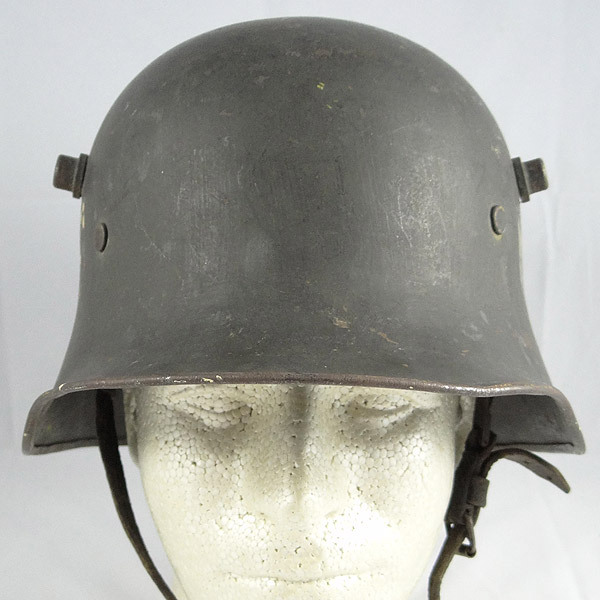 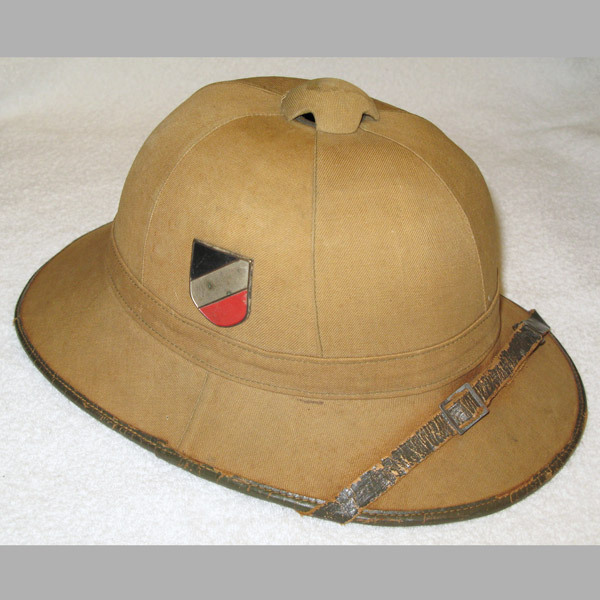 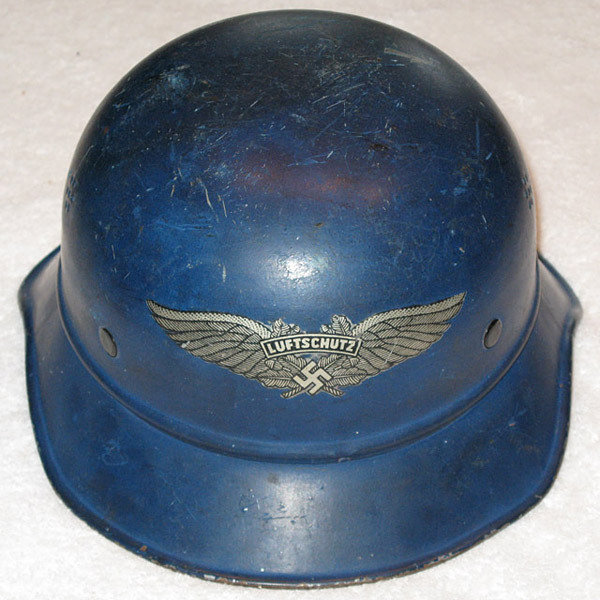 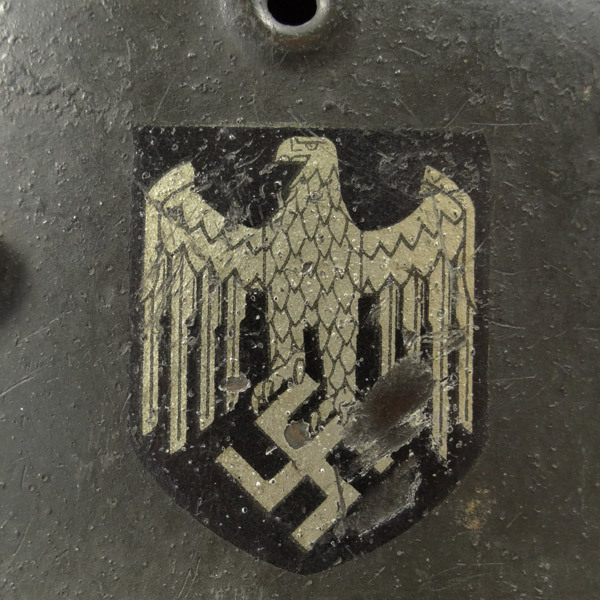 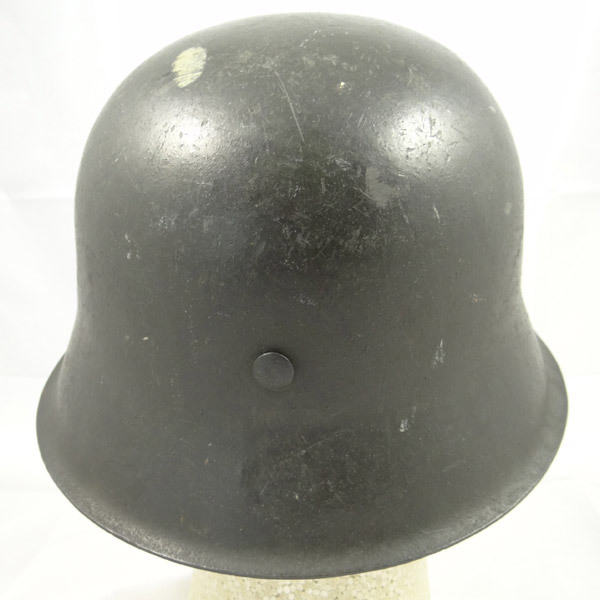 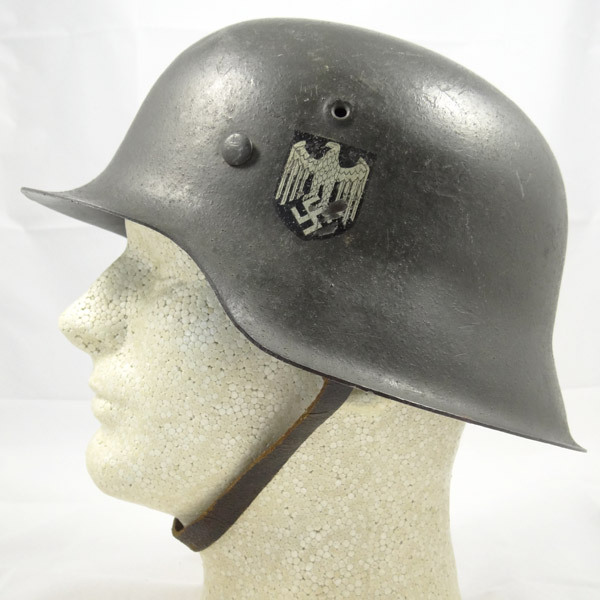 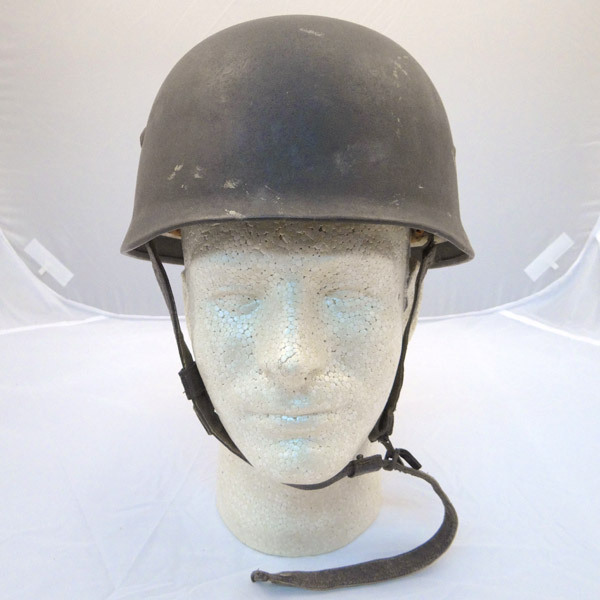 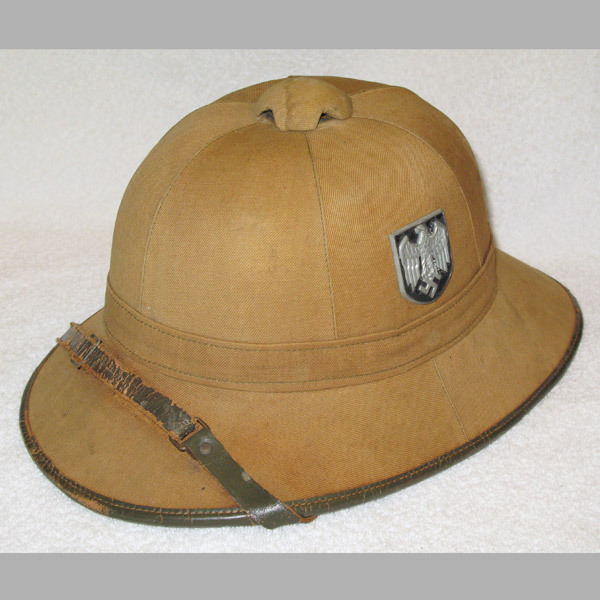 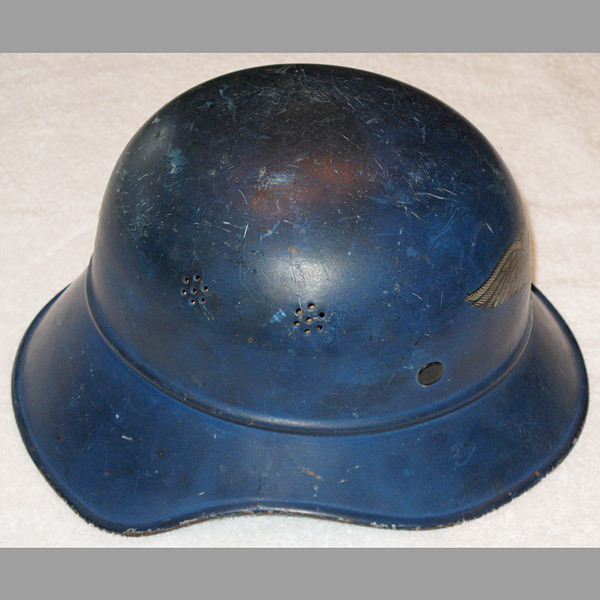 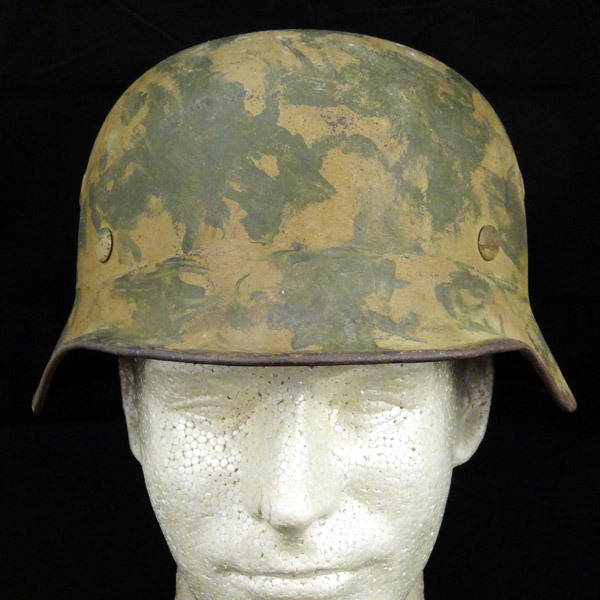 A nice German Army (Heer) Combat Helmet. 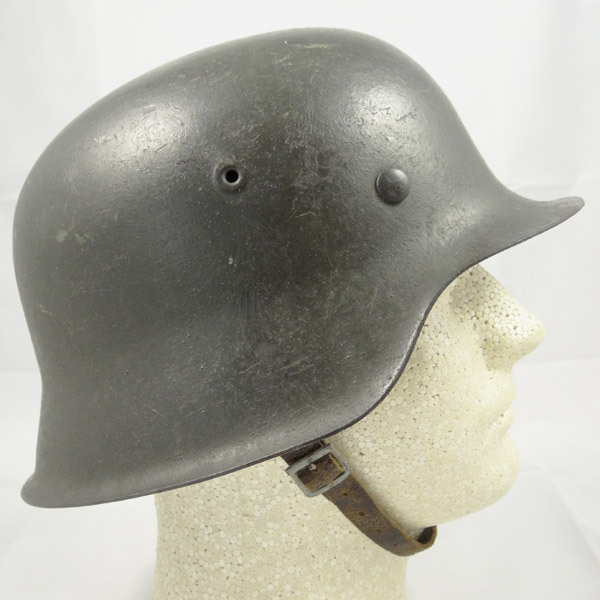 The finish is a smooth field-gray with the expected use wear. 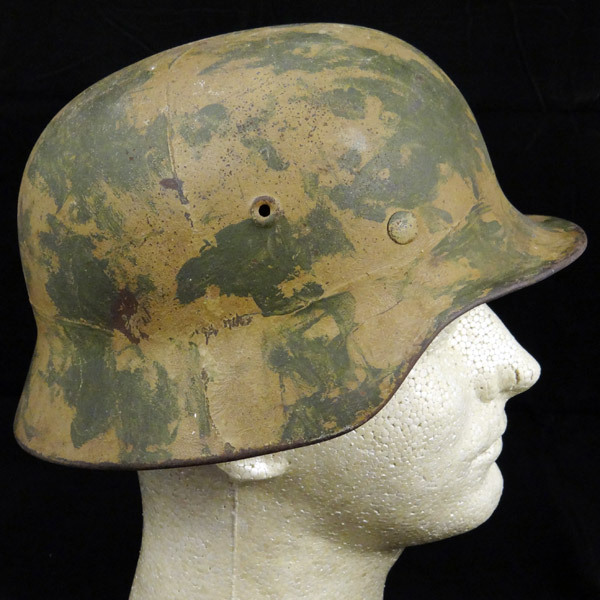 There are no dents, and no areas on the exterior showing severe paint loss or rust like we sometimes see with these (especially on the top of the helmet). 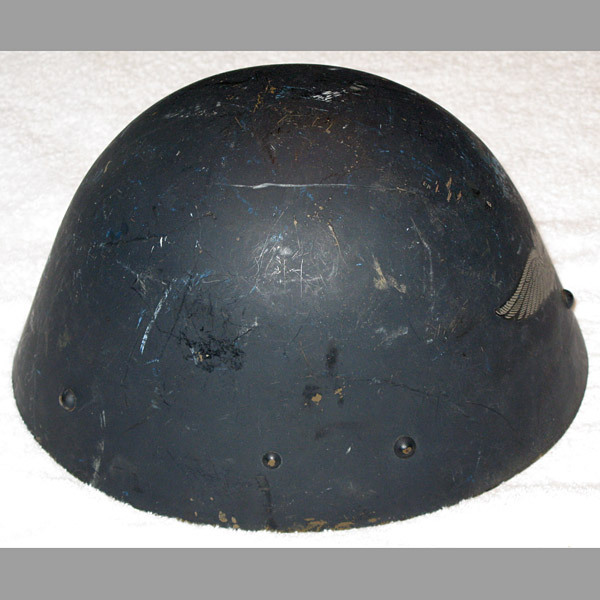 There is what we assume to be a paint scuff on the top of the helmet, approximately 1.5 inch by 2.5 inches. 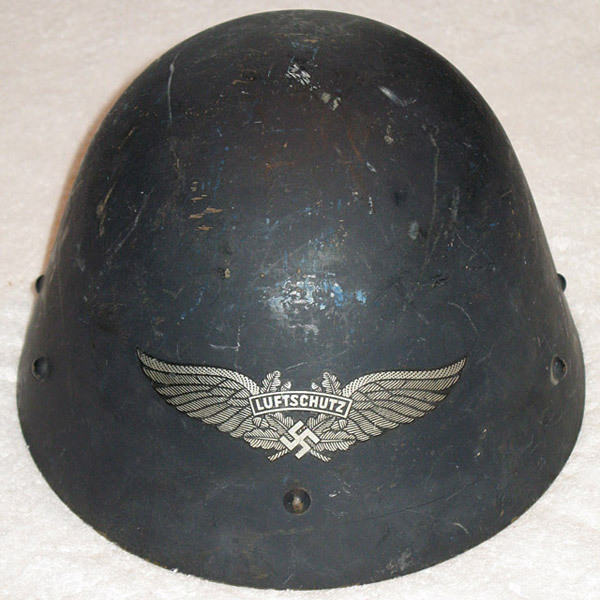 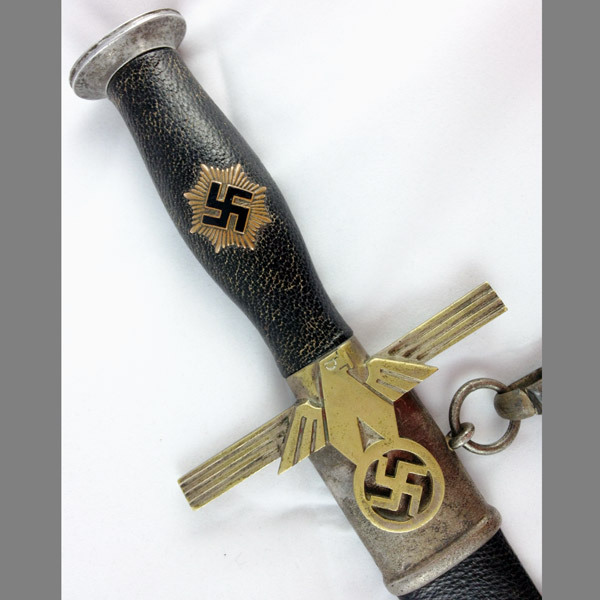 The single Heer decal is very proud, but does have a couple nicks where the decal has been worn away – the largest area being about 1/2 inch by 1/4 inch. 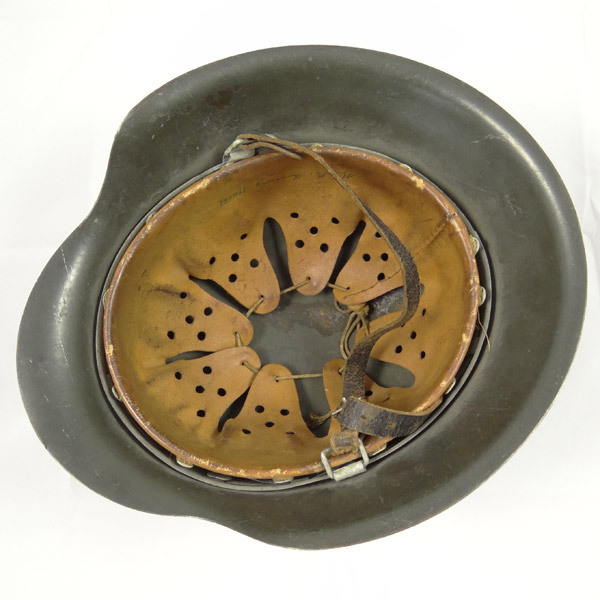 The interior liner is in excellent shape, with use wear consistent with the exterior. 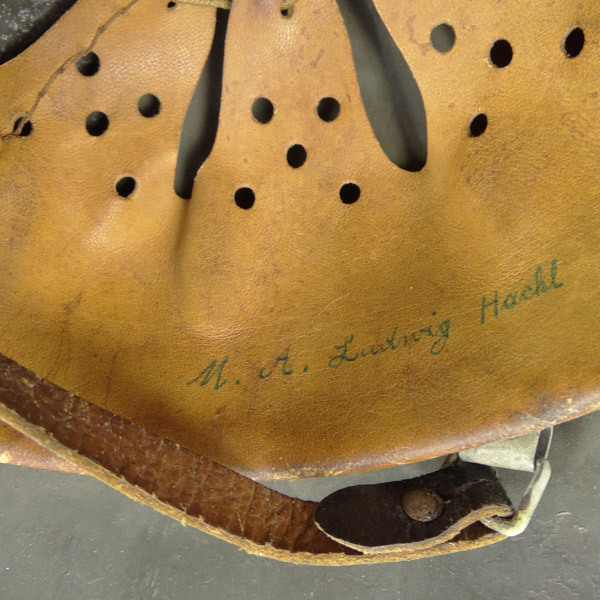 The leather is still very supple, not dry or hard, and still has the draw string threaded through the eight liner tongues. 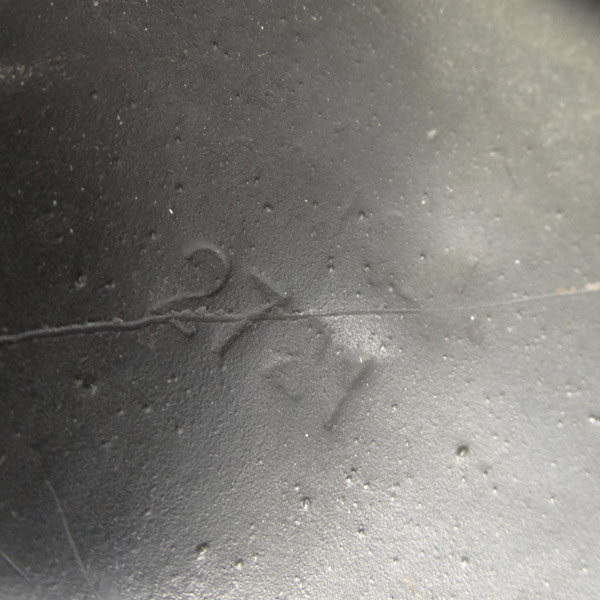 Handwritten on the liner is the owner’s name, “M. 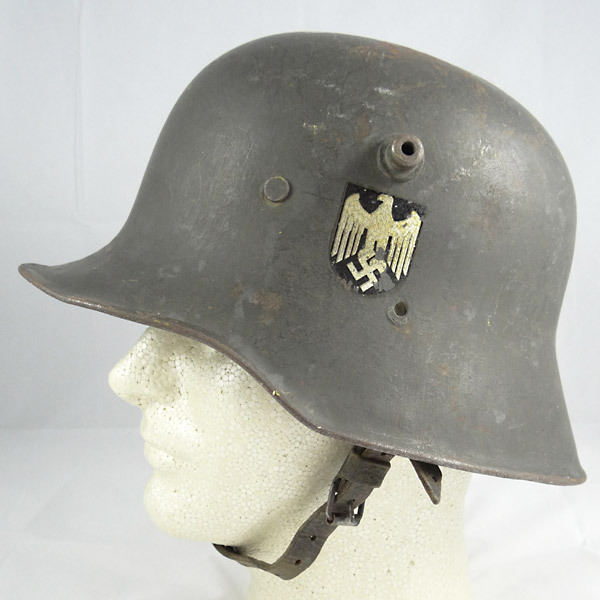 A. Ludwig Hackl” The original chin strap is also present on this one. 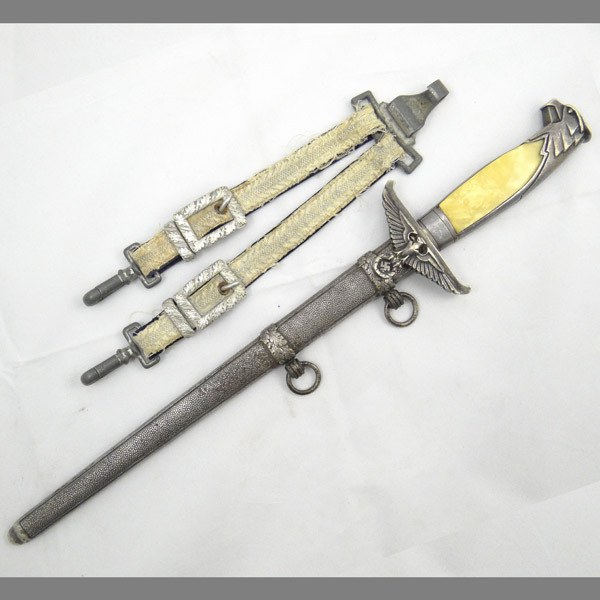 The strap shows typical wear, but is still strong sand flexible, and includes all hardware.